Product Consists : Creme 21 Pro Body Lotion for Normal Skin (Weight : 400 ml) and Creme 21 Pro Moisturizing Cream (Weight : 150 ml) with Zuci Junior Hand Sanitizer along with Moisturizer Vitamin E (Weight : 150 ml) also Aha Papaya (Weight : 120 g). Spend a great day with your mum So go and start with the Special gifts for your Mom. If you are Looking for a great way to wish your mum on Happy Mothers Day We have got some of the best ideas what to put your Feeling on Mothers Day. Treat your lady love with this amazing gift packs Collection of Body Care Gift Set for Her, these grooming products which expresses the deepest love you have for your love lady. 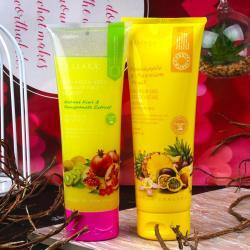 The quality of product has the real feel of love and care in its glance. Add a special touch to the lively and youthful personality of your dear ones through this gift set from Giftacrossindia. The aroma and quality of these items has a special charm in its glaze which will relax mind and soul. This gift will bring your relationship more closely with positive affect. This gift combo should be the best bet for Mother's Day, Valentine's Day, Birthday, Anniversary, Women's Day and Many more.. 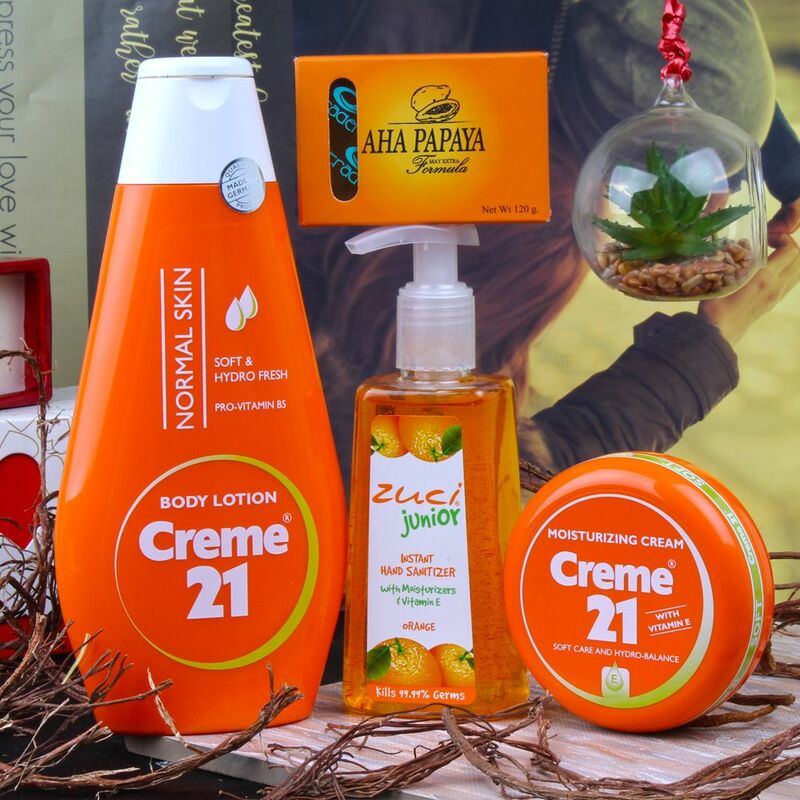 Product Includes : Creme 21 Pro Body Lotion for Normal Skin (Weight : 400 ml) and Creme 21 Pro Moisturizing Cream (Weight : 150 ml) with Zuci Junior Hand Sanitizer along with Moisturizer Vitamin E (Weight : 150 ml) also Aha Papaya (Weight : 120 gms).